The entire football world was shocked to hear the retirement of German footballer Mesut Ozil due to racism. 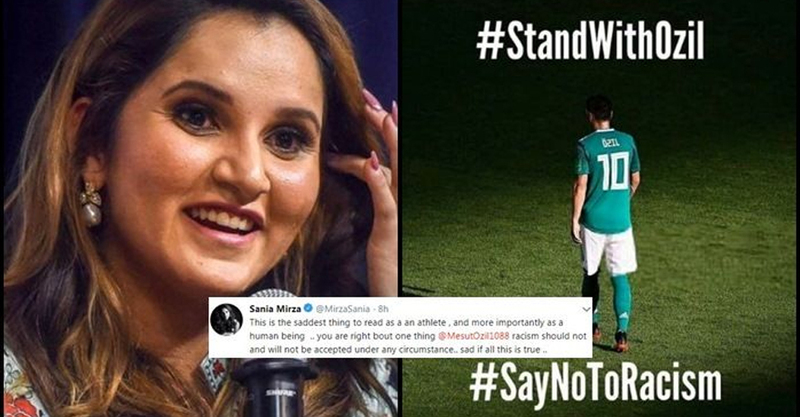 Indian Tennis player Sania Mirza on Monday showed her support to him. Ozil said that he was quitting the German national football team, citing ‘racism’ in criticism about his role in the side’s World Cup debacle. In a three-part statement on Twitter sent over the course of the day, an angry Ozil saved his bombshell for the final salvo. In it, the Arsenal midfielder blamed the German Football Federation (DFB) for failing to defend him against his most strident critics. Ozil said he had been unfairly blamed in Germany for the side’s shock first-round defeat at the World Cup.